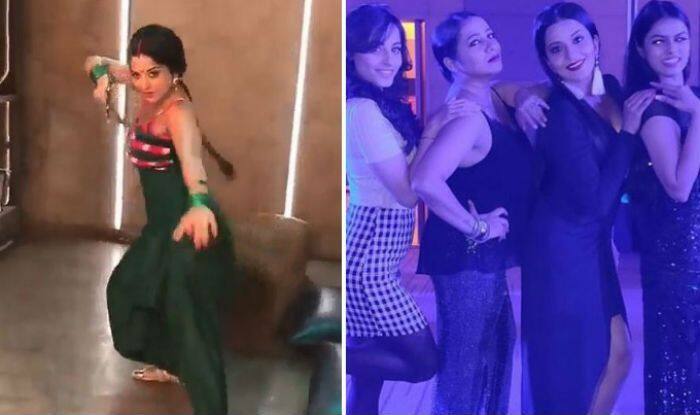 Bhojpuri actress Monalisa aka Antara Biswas is working hard to perform stunts on her supernatural show Nazar and the recent video is the proof. A video is now going viral on social media where she is seen practicing action sequence with a sword. Dressed in a green salwar-suit, she looks uber hot in her daayan (witch) avatar. The video has been shared by one of her fan pages and the clip does give us sneak peek into the action that will be seen in the coming episodes. A few days back, she can be seen flaunting her desi thumkas in the same bridal avatar on Akshay Kumar song Aa Re Pritam Pyaare from Rowdy Rathore. Well, there is no denying the fact that the lady loves dancing and she always manages to take out time for some fun during the shoots.